Ready for a blast, err... splash, from the past? 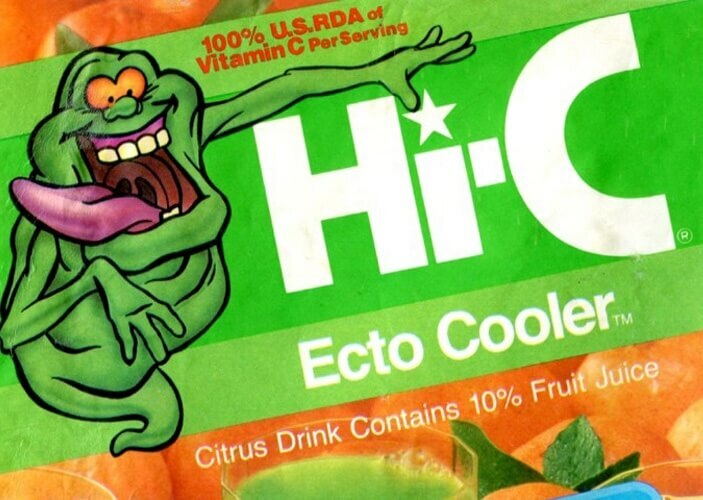 Coca-Cola, parent company of Hi-C maker Minute Maid, has announced it’ll be bringing back the “ghoulishly green” Ecto Cooler citrus juice drink next month after a 15-year hiatus. Fans of the flavored juice may remember that it initially debuted in 1987 through a promotional tie-in with the Ghostbusters movie franchise. The beverage was only expected to stick around for a short while but its immense popularity led to it remaining on store shelves for well over a decade before being discontinued in 2001. Why bring it back now? Sony Pictures' reboot of the original Ghostbusters starring Melissa McCarthy, Kristen Wiig, Kate McKinnon, Leslie Jones and Chris Hemsworth is set to arrive this summer (there’s also a couple of new games in the works from Activision). In celebration of the film, Coca-Cola is reviving the Ecto Cooler on May 30 – plenty of time to get reacquainted before the movie lands in theaters on July 15. If that weren’t enough for ‘90s kids to get excited about, you’ll be happy to learn that Clearly Canadian is also staging a comeback this summer following a successful crowdfunding campaign. The nostalgia-inducing flavored water beverage was expected to be back on store shelves by this point but as luck would have it, the bottling plant shut down midway through production of the first batch destined for backers. Some have received partial orders while others are still waiting (some have even shown up on eBay). The new owners expect production to resume in June.